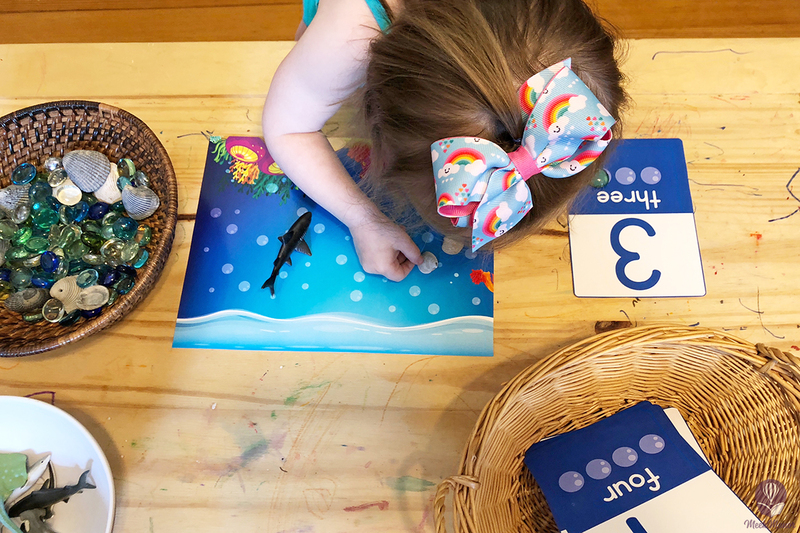 Shark Week is just around the corner, and we’re launching a set of shark-themed activities for toddlers and preschoolers. 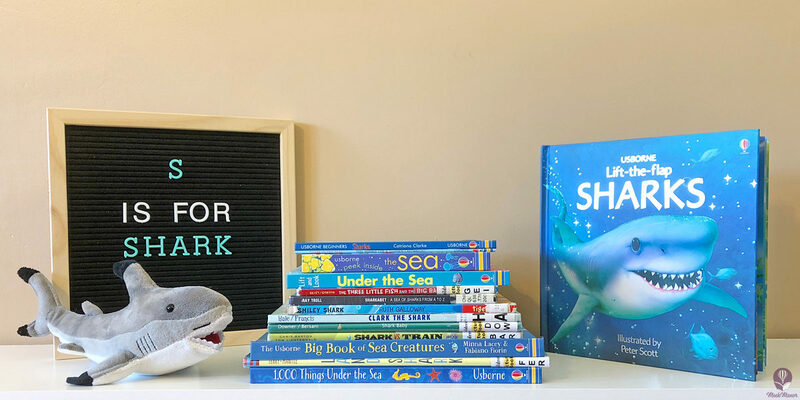 Let’s kick things off with our favorite shark books! 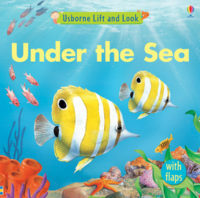 We chose Usborne Lift-the-Flap Sharks as the companion book for our Shark Activities, because we love it that much. 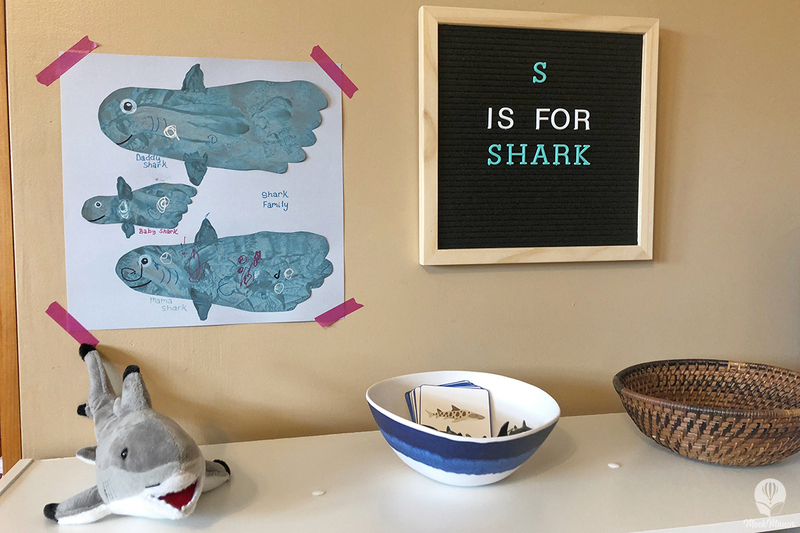 While it’s geared towards ages 4+, we’ve found it to be an appropriate shark introduction for our toddler. We initially bought this book when our daughter was 18 months old, and she comes back to it frequently. 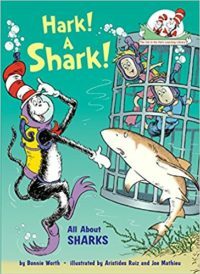 Since we have all the shark goodies out right now, we’re reading this book several times a day. The flaps are so inviting for toddlers and preschoolers alike. Though, it’s important to note that the while these flaps are a glossy card-stock, they’re not as sturdy as the flaps on Usborne’s board books. So, you might want to keep this as a read-together book. 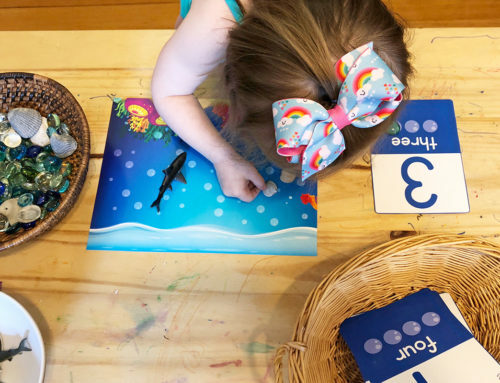 The book is the perfect length for the toddler and preschooler attention span, and it contains fun nuggets of info that your little shark lover will just eat up. 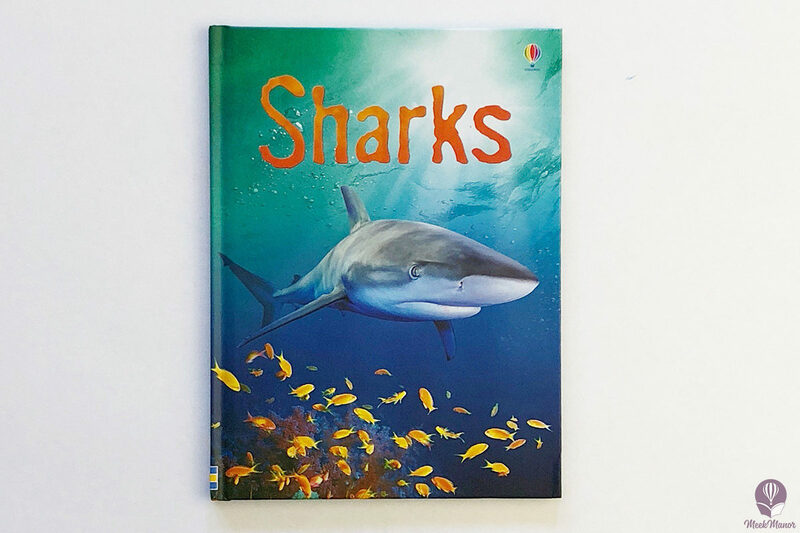 Sharks is from the Usborne Beginners Series, which are hard cover reference books designed for early readers. 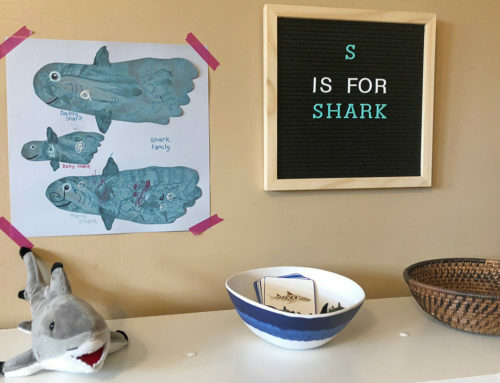 With a table of contents, glossary, and index, kids will feel like they’re doing their own research on sharks. This book also has internet resources, where little researchers can go learn even more. This book is geared more towards preschool/kindergarten. It might be a bit much for your toddler. Shark in the Park is just silly fun. 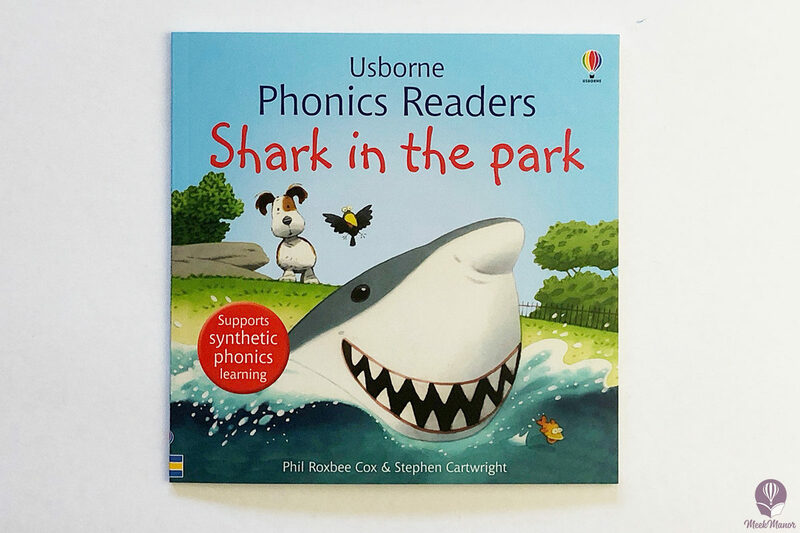 It’s also part of the Usborne Phonics Readers series, so it sets some excellent phonics foundations while also being fun. 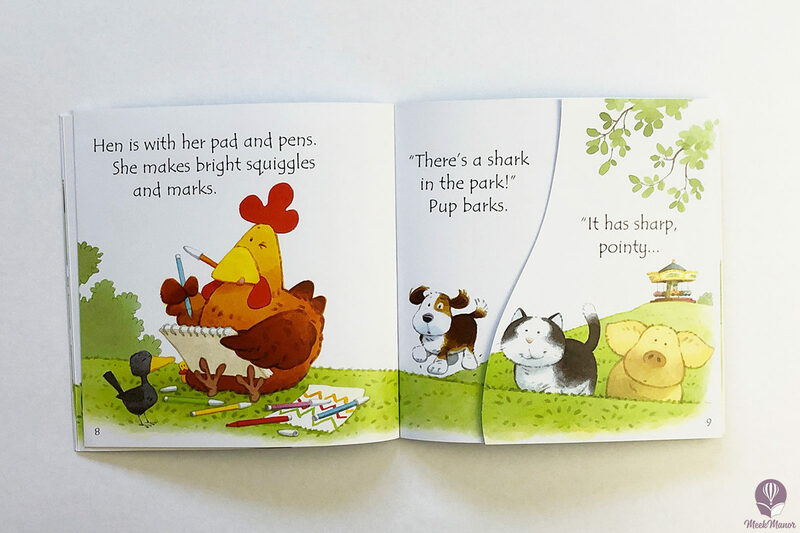 In the story, pup runs through the park to warn all her friends that there’s a shark in the park. Some of the pages fold out for even more engagement with your kiddos. 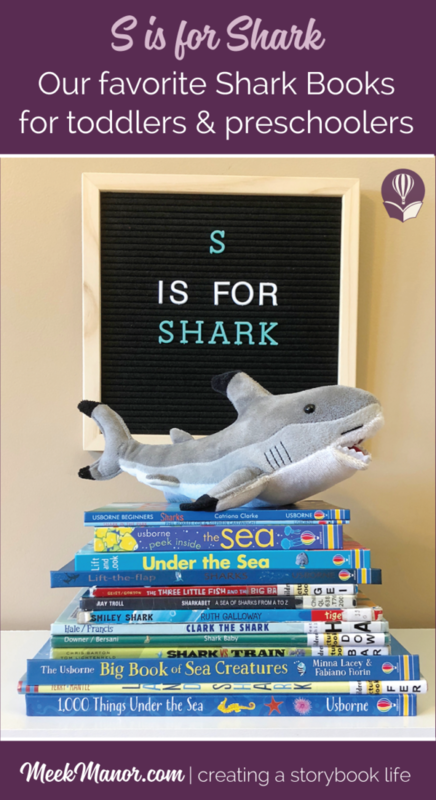 We took advantage of our local library and interlibrary loan system to add several more shark books to our shelves during our shark theme–both fiction and non-fiction. These are our favorites. I’ve ordered them by what age I think they best fit, despite the recommended ages. Toddlers will most enjoy the first few, while preschoolers are more likely to enjoy the ones later on the list. This retelling of the Three Little Pigs will crack up your kiddos. 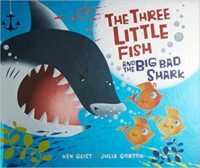 Mama fish sends her three little fish, Jim, Tim, and Kim, to go make their own homes in the deep blue sea. But, the Big Bad Shark wants to eat the fish. One by one, well, you can probably guess what happens. 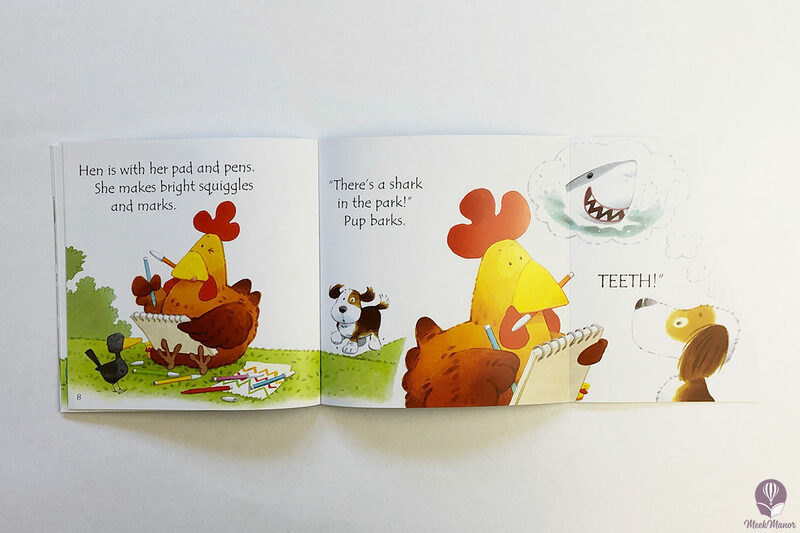 The Three Little Fish and the Big Bad Shark is a fun book with bright illustrations and a familiar story that your kids will enjoy. Poor Smiley Shark just wants to make friends, but they’re all afraid of him. But one day, his big smile scares off the real big bad, and he saves the day. 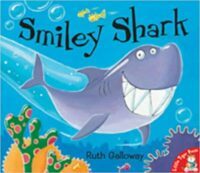 Smiley Shark is a cute story about being different and finding acceptance. 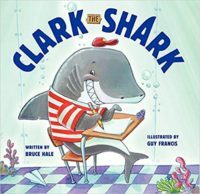 Clark the Shark is a tremendously fun read-aloud, with great rhythm and rhyme. Clark loves school, but he gets a little enthusiastic, especially considering his size. His teacher helps him learn to “cool down,” but it takes Clark writing his own little reminder rhymes to encourage more appropriate behavior. Silly and fun! 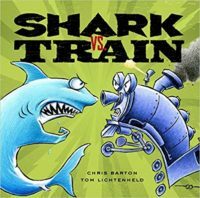 This hilarious and completely ridiculous story pits a shark against a train in all sorts of crazy scenarios–like bowling, burping contests, trick-or-treating or playing hide-and-seek. Your little sillies will love this wacky book. 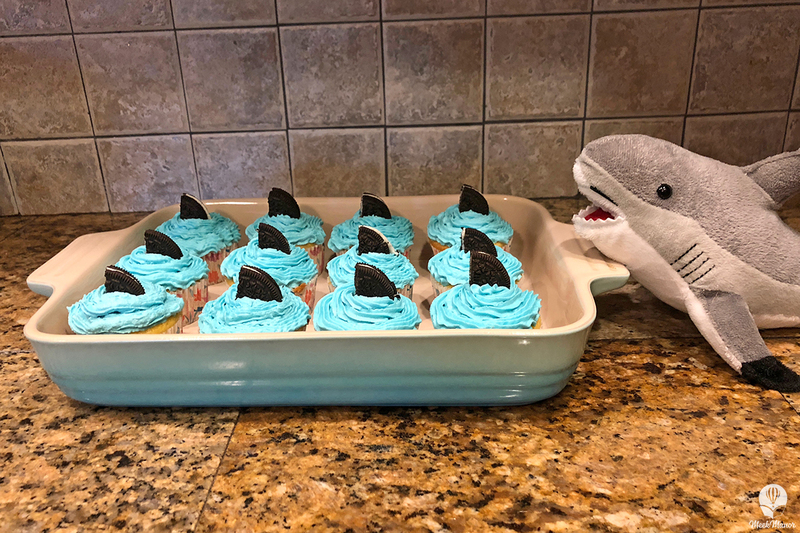 Bobby has a plan to convince his parents to get him a shark for his birthday. So, when his parents give him a puppy for his birthday, he is less than thrilled. He’s a shark lover, not a dog lover! But, as the puppy causes disruption and destruction to Bobby’s world, the puppy helps Bobby discover he can be both a shark lover and a dog lover. 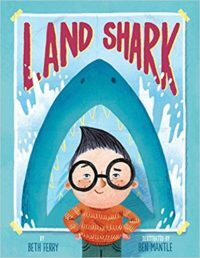 Land Shark has a sweet story, gorgeous illustrations, and really fun vocabulary. Sharkabet really wowed me. 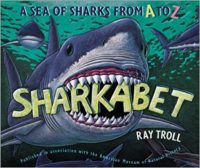 It’s filled with fascinating information about sharks, both living and prehistoric, shared through ABCs. Your typical toddler will probably not sit through the book in its entirety, especially the heavier introduction and fact pages. I tend to read in an abridged fashion with my two-year-old. 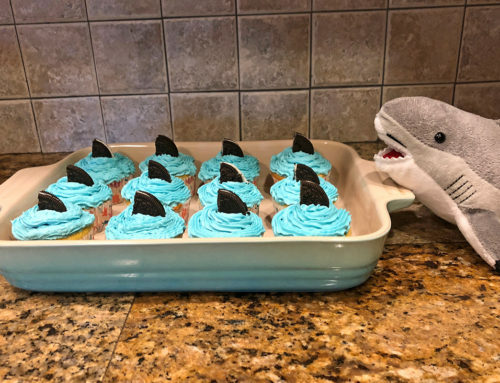 But, if you have a shark-obsessed kiddo, they’ll eat this up. Plus, the illustrations are absolute works of art–there’s even a little blurb at the end about how the illustrations were created. Shark Baby isn’t quite ready to leave it’s egg case, but a storm causes Mother Ocean to send Shark Baby on a little journey. Shark Baby searches to find what kind of shark he is. 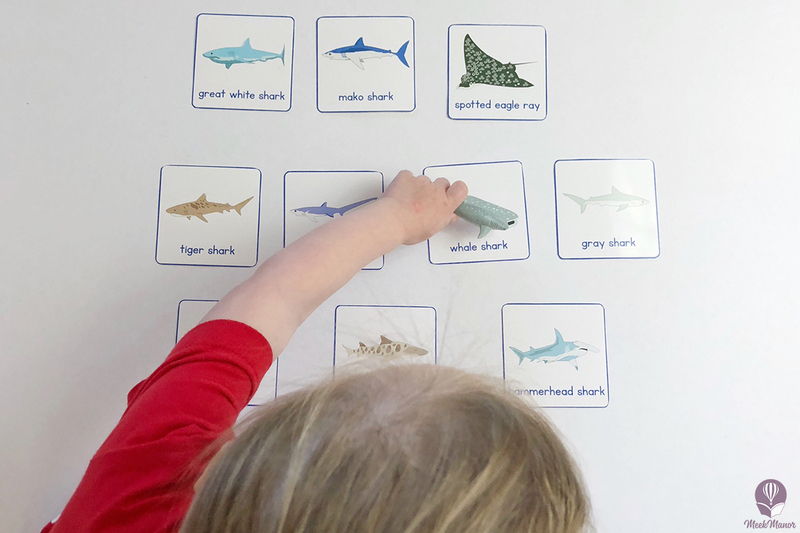 He meets a few other sharks along the way, and they point out how they are different, giving specific vocabulary for young children. 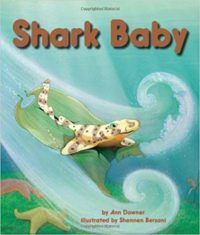 Eventually, Shark Baby makes it back to the kelp forest where the story started and makes a friend, discovering he is a swell shark. This book gives an excellent introduction to several types of sharks. 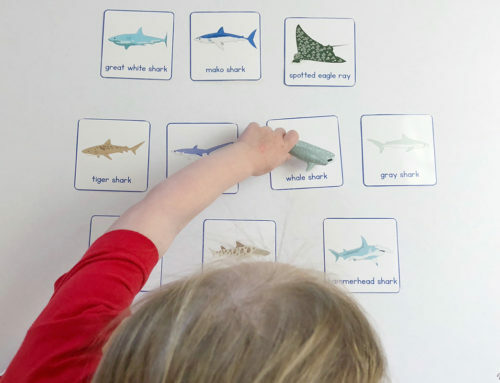 It’s repetitive nature will keep kids engaged with Shark Baby’s journey. 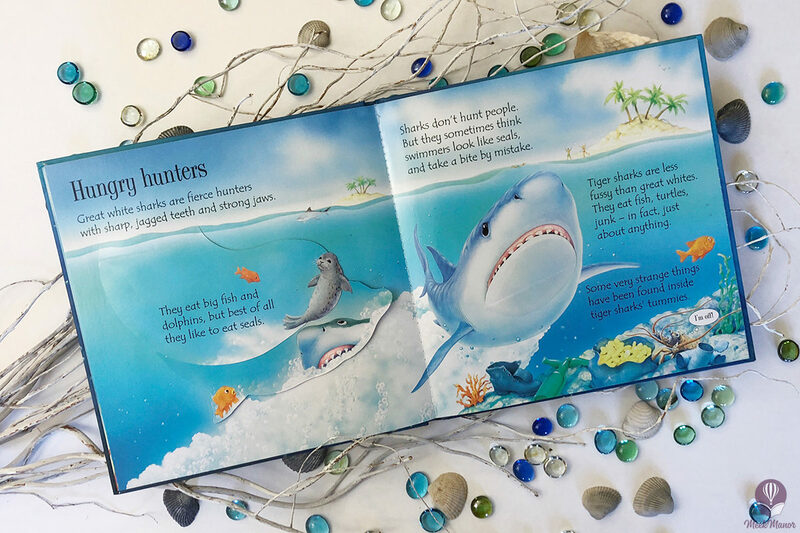 Under the Sea is a board book with sturdy flaps that sends the reader on a search and find hunt under the sea. 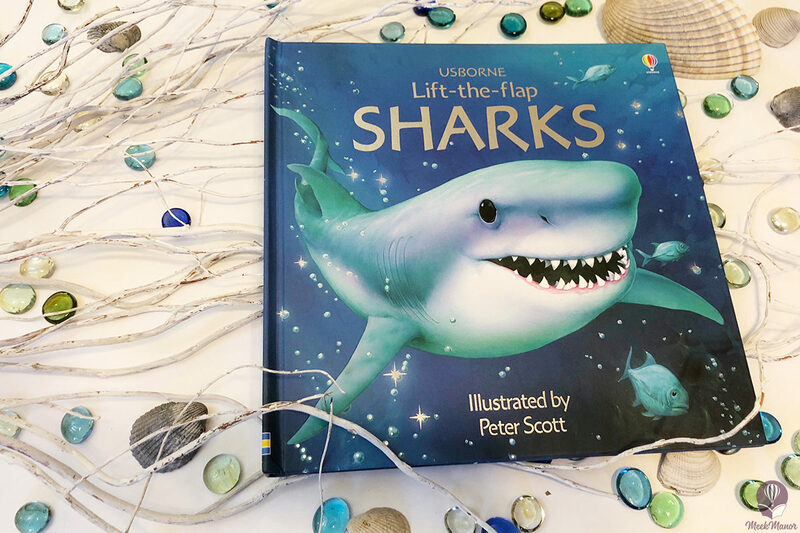 Your child will enjoy lifting the flaps to try to find Little Fish on each page, among the dolphins, sharks and other sea life. 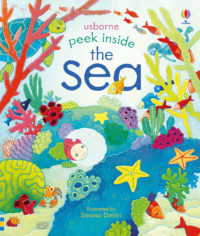 The peek inside series from Usborne is geared towards younger children. We have several of these books in our home, and they’re always a favorite. 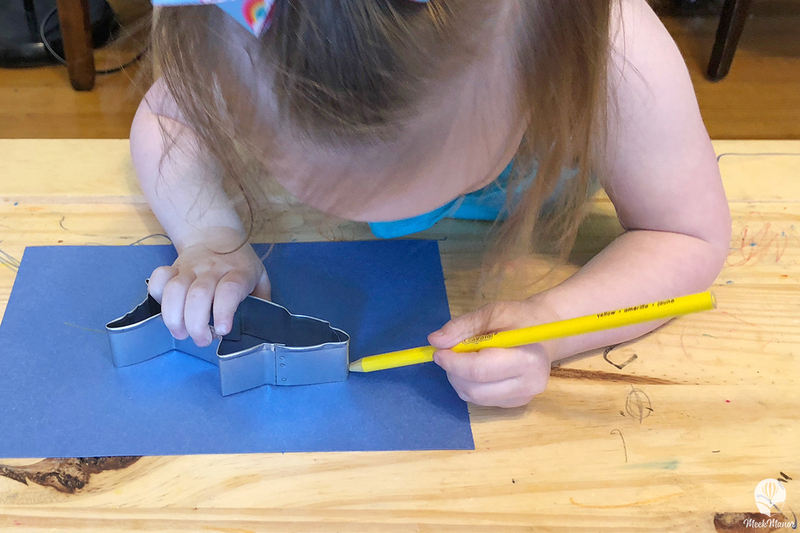 They have one for every kiddo’s interest (obsession), which makes them a go-to. 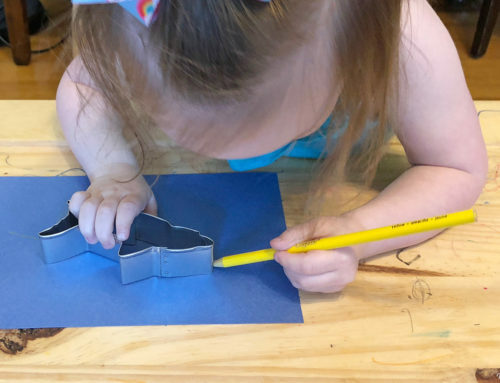 The board books and flaps are sturdy and perfect for little hands. The illustrations and flaps are incredibly inviting. Perfect for your youngest ocean lovers. 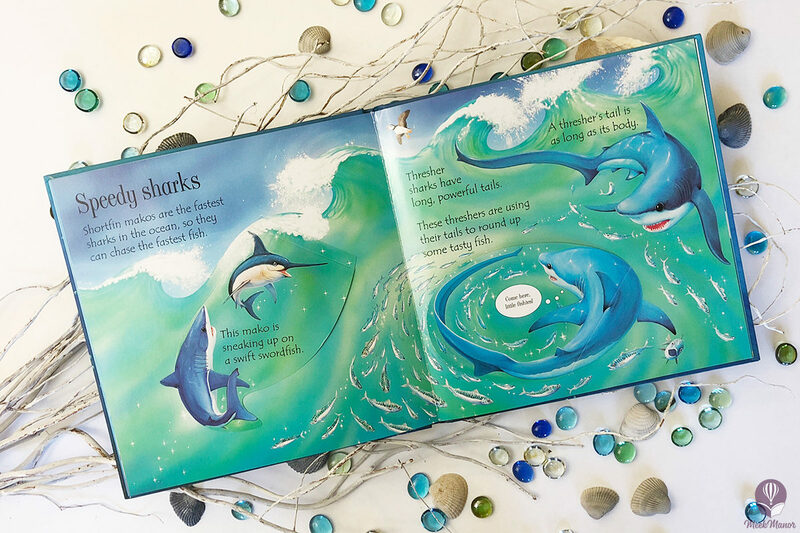 The Big Book of Sea Creatures has gorgeous illustrations filled with a variety of sea creatures for your little one to discover. 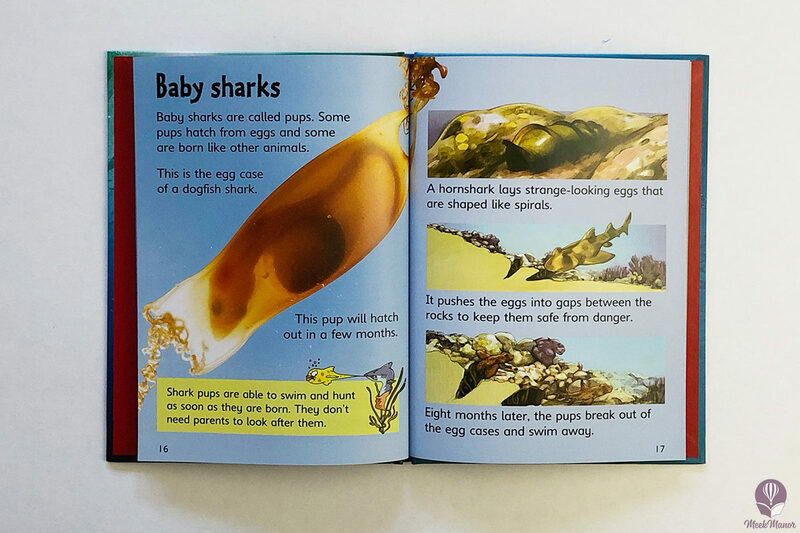 One of the four fold-out pages focuses on sharks, and the whale shark is also featured on the fold-out with the biggest sea creatures. 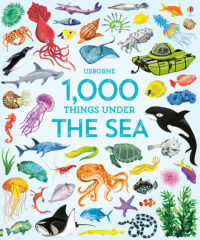 This book is filled with 1,000 pictures of animals and other things you’ll find under the sea. Each picture is labeled, but there isn’t further information about each animal. 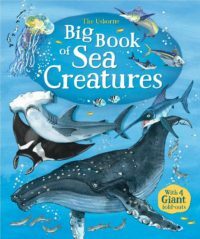 This book is perfect for identifying different sea creatures and makes a fun find-it. Our toddler will sit with this book for long periods of time (seriously, 20-30 minutes), pointing out all of her favorite animals, asking about ones she hasn’t noticed before, and just exploring the book. I tend to think this is not the norm. But, if you have a kiddo who enjoys identifying and labeling sea creatures, this is the book for you. Want more shark activities sent right to your inbox? Sign up, get your supply list, then never miss another shark activity!